Light refreshments will be served at 6pm. The roundtable will begin at 6:30pm. This event is free, and the location is wheelchair accessible. Here in Montreal, hockey, and the media that surrounds it, is a mega- industry. During the NHL playoffs, the bars of the city are overflowing with revelers sporting the tricolore, there to cheer on their beloved Canadiens. 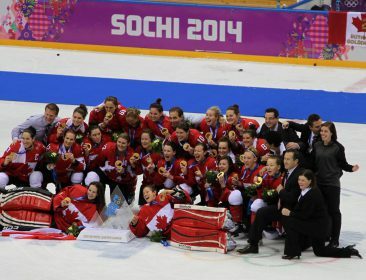 Yet how many people have heard of Les Canadiennes, Montreal’s championship-winning women’s professional hockey team? And more importantly, how do feminist issues get taken up in hockey media? 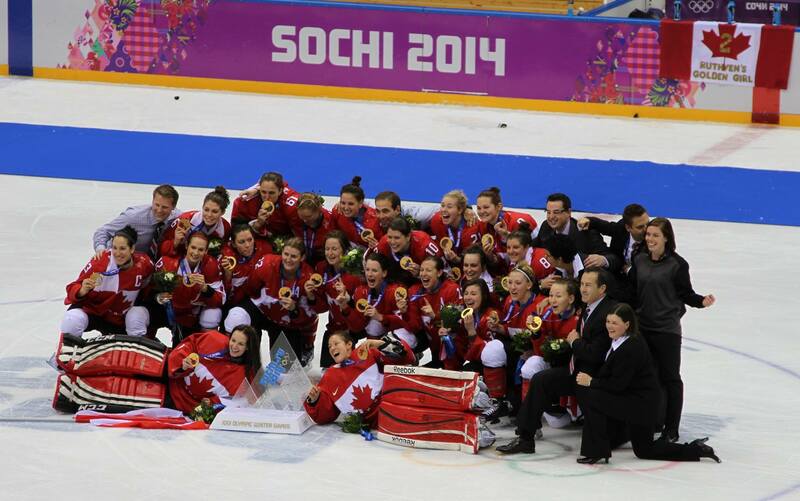 And how can we make more room not only for women’s hockey, but also women’s voices in the sports media landscape? Join us for a roundtable discussion and live taping of the podcast “Changing on the Fly”, with three of Montreal’s finest feminist voices in hockey. “Changing on the Fly” is a research- creation project and podcast by Aaron Lakoff, a current MA student in Media Studies at Concordia. The podcast aims to explore social justice issues in hockey, looking at themes such as colonialism, sexism, and racism on the ice. The podcast aims to bring together interviews with athletes, sports scholars, and hockey commentators whose work aims to create radical social change, both inside and outside the arena.